We have gained expertise in delivering Apron Mounting Casting Machines. 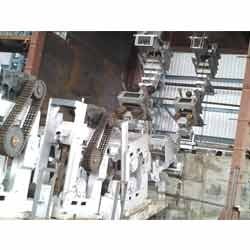 The machines we offer are manufactured using quality tested raw material and advanced technologies, which are sourced from reliable vendors. These machines are widely used for motor surface die casting and electric motor rotor. Moreover, our professionals ensure that only defect-free range is dispatched from our end in order to meet the needs of varied customers.